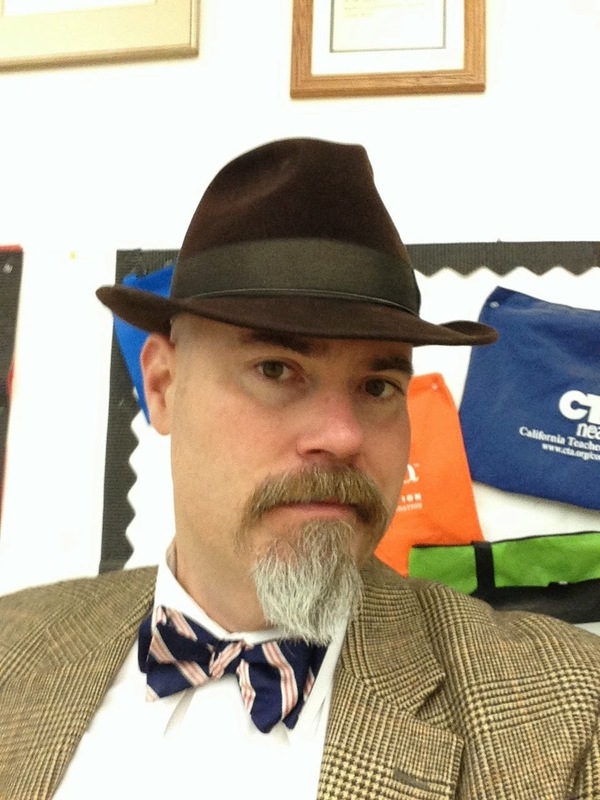 Writing about the future of learning and teaching in America's public schools. 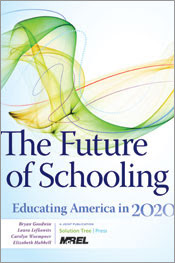 I’m guessing that not very many teachers are going to read The Future of Schooling: Educating America in 2020, which is too bad – teachers all over the country should be having the kinds of conversations the authors of this book do. Three of the four co-authors work for McREL, a consulting and long-range strategic planning organization, and the book has an obvious corporate tone. Additionally, the authors take great pains to not reveal where they stand in some of the hottest educational debates raging the country. Neither pro-Rhee nor pro-union; neither pro-testing nor pro-authentic assessment; neither pro-charter nor anti-charter, there is plenty in this book to anger every side of our overly partisan educational reform circles. The authors do not engage in speculating what the “outcomes of education” should be. They don’t argue for more high-stakes tests nor to they promote portfolio assessment. Instead, one of their axes asks the question, “In 2020, will the outcomes of education be standardized or differentiated?” One can see the debate raging currently. On the one hand, we have a movement to national common core standards, asking all states to align and standardize their educational goals. The SMARTER and PARCC consortiums are doing the work right now on sets of assessments linked to the common core standards. It does not take a long leap of speculative logic to imagine the kind of pressure the last six holdout states will soon be under when new textbooks are rewritten to align to the new standards and it is not difficult to imagine the pressure for every state to then voluntarily adopt the new assessments. One the other hand, there is a movement growing led by writer and educators like Sir Ken Robinson and Daniel Pink who argue that standardization is exactly the wrong direction to go and that American education and business can only improve when creativity and diversity of educational outcomes are embraced and normalized,. To see how these four scenarios play out… your going to have to read the book. Well, my husband is certain we are going to blow up before we change! I do question that if we did, would we be able to put something decent back together? Here's a question... if school reform isn't reform at all, but re-invention as your husband and I imply with the "blow up" phrase, what do you imagine we would replace our current system with? Sometimes wholesale CHAOS is nessary before new life can burst forth... I can already smell the breath of giants waking up and stretching! As per my experience I always prefer getting services by http://www.essayscapital.com/college-papers/ as they are really professional and cooperative. in student times I was worried about my assignments then Found an excellent company and asked to write my essay online which saved my time and provided me quality materials. 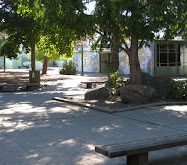 Failing Schools » Far out!